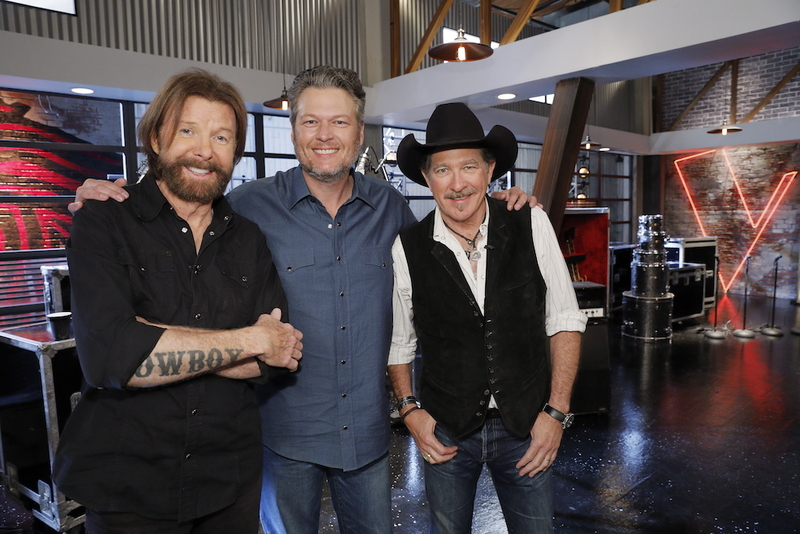 Nashville, TN – March 25, 2019 – The best-selling duo of all time, Brooks & Dunn, are set to begin a special stint on The Voice tonight, as guest advisors to Blake Shelton during this season’s battle rounds. The duo, who were just announced as the next inductees into the Country Music Hall of Fame, will share insight stemming from their more than two-decade career with contestants starting tonight (3/25) on NBC at 8p ET/PT, with three additional episodes featuring the duo set to air April 1, 8 and 9. With 20 No. One hits stretching back to 1991, two Grammy awards, dozens of ACM and CMA honors and a discography counting more album sales than any country duo in history – regardless of genre – Brooks & Dunn’s influence on today’s country has never been in question. Hits like “Boot Scootin’ Boogie,” “My Maria,” “Only in America,” and “Believe” have propelled the duo to more than 30 million albums sold, with the New York Times heralding “together they helped drive the power-country era of the early-to-mid 1990s and continued to benefit from the sea change in the genre they helped initiate right through their most recent albums.” Their original “Merle Haggard meets The Rolling Stones” vibe made them progressive stars in their own right. In 2014, the duo announced their reunion along with long-time friend, Reba McEntire, for a residency called “Together in Vegas” at The Colosseum at Caesar’s Palace in Las Vegas, which received rave reviews and continues to be extended including more shows throughout this year. For more information visit: www.brooks-dunn.com. Follow Brooks & Dunn on Facebook: https://www.facebook.com/BrooksandDunn, Instagram: https://www.instagram.com/brooksanddunn and Twitter: https://twitter.com/brooksanddunn.